My first ever trip to an Eyebrow Sculpting Artist was overdue. Amanda Peterson from Bespoke Brows showed me all the wrong things I was doing with my eyebrows such as shaping and plucking them myself. I first started tweezing and plucking my brows when I was 16. Despite all the years of tweezing and plucking some of my eyebrow hairs grew back within 6 weeks. I was then able to grow and style these hairs into my new shape. 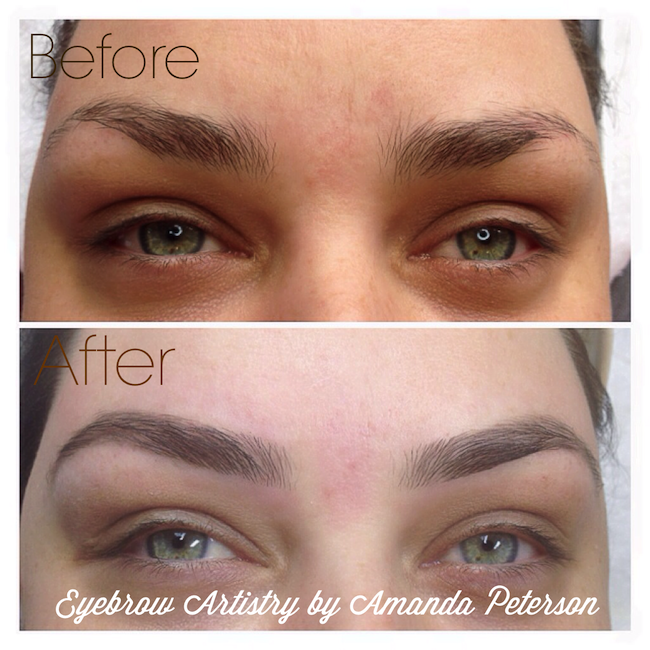 After seeing Amanda I promised I would never ever pluck my eyebrows the way I used to. It’s amazing what well groomed and shaped brows do to your face. For me eyebrows are like the frames I use to frame my oil paintings. If I use the wrong frame, no matter how stunning the oil painting is, it can ruin the entire look of the painting. My first consult with Amanda took 1 hour and 30 minutes. Initially I thought why on earth would she need that long to look at my eyebrows if I was doing everything right? Well I was so wrong! 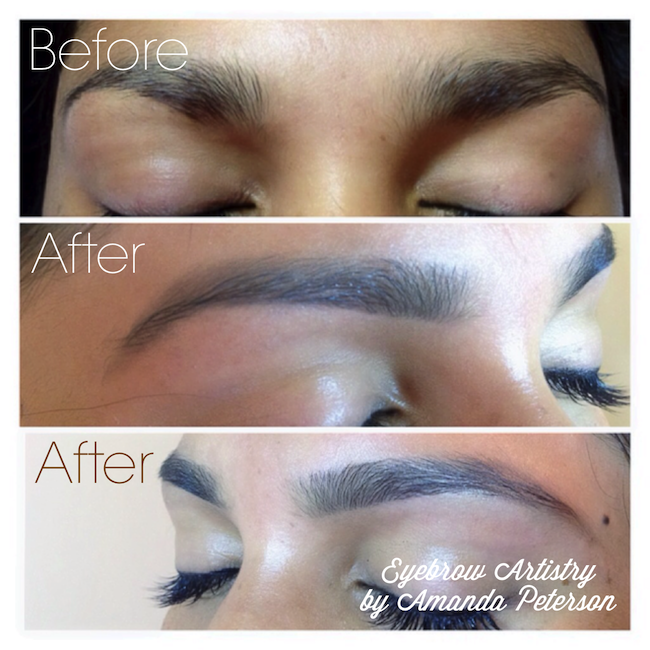 Amanda is passionate about eyebrows and she tells me that it’s such a great honour to be allowed to design women’s eyebrows as they are such an integral part of your look and are often overlooked amongst myriad beauty treatments we undergo. She shapes eyebrows according to clients specs. So in some cases she may have liked to have gone a bit thicker or thinner but in the end it is up to the client as to how thin or thick they want their eyebrows to appear. Amanda answers some eyebrow questions and shares some of her brow tips that everyone should know about, before plucking their precious eyebrow hairs. 1. What are the top eyebrow trends for 2014? We are seeing and will continue to see thick bushy brows in 2014. So how do we translate this ‘On trend’ catwalk look to still work in the office and at play? 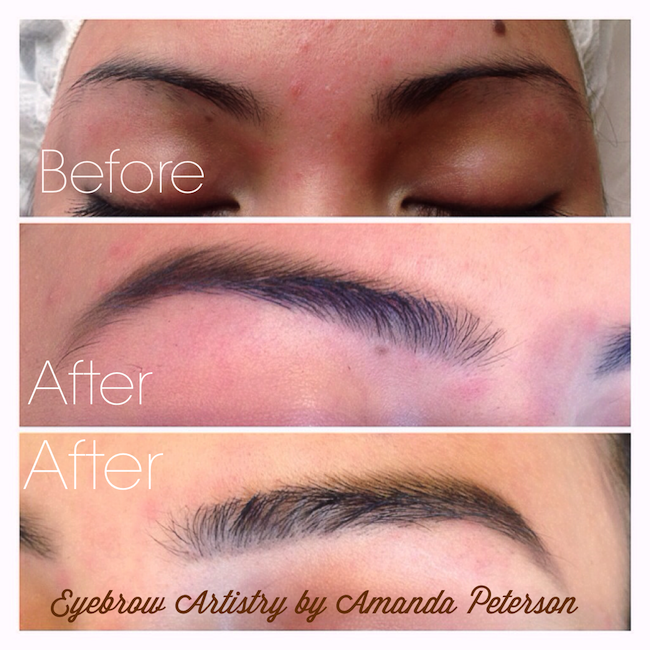 Be sure to have your brow artist tidy up any stray hairs and give the brows a little definition. Off the catwalk, brows that are too unruly can make you look a little unkept. 2. Whose eyebrows do you envy? Cara Delevigne is certainly the poster girl for full brows at the moment, but I have always adored Jessica Alba’s eyebrows. She wears them soft, and the colour always compliments whatever hair colour she is sporting. She has the right idea. Eyebrows should lend themselves to the face not try to be the star of the show. 3. Tips for having the best-shaped eyebrow? – Forget all the eyebrow rules about where the arch should be and where the eyebrow needs to start! Work with your brow not against it and you will reveal its true potential! – Be patient with your brows. If you have over plucked it may take 3-6 months for all the little hairs to grow back then, you can see what you are working with. – Find an eyebrow artist! Eyebrow artists are trained to take every little hair into consideration and will work with you to maximise the potential or your eyebrows! 4. What are the top 3 mistake women make when shaping/styling their eyebrow? 1. Over plucking is the number one cause of eyebrow demise. 2. Removing hair in the wrong direction can lead to hairs sticking straight out of the brow. Pluck in the direction the hair is growing, never against. 3. Over-defining the brow with brow pencils can look very artificial and can go against the look that most of us are trying to achieve. When filling in your brows try using a powder instead. Powders are easier to use and give a softer effect. 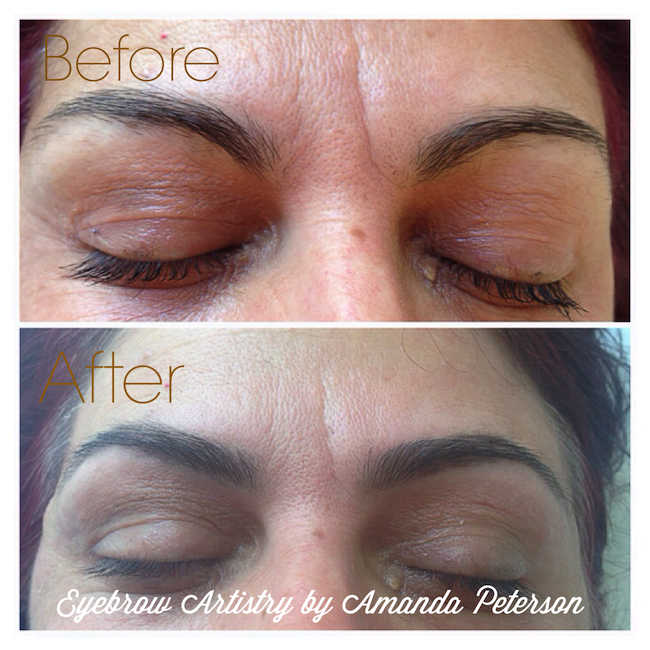 Below you will find some of Amanda’s before and after photos of her clients, what a difference! I love my eyebrows and can’t stop looking at them. I can’t believe I didn’t see an eyebrow artist sooner. If you are in Melbourne you can contact Amanda here.